Having reached that conclusion however, most of us never take the time to think or look more deeply at the implications of what we have said. 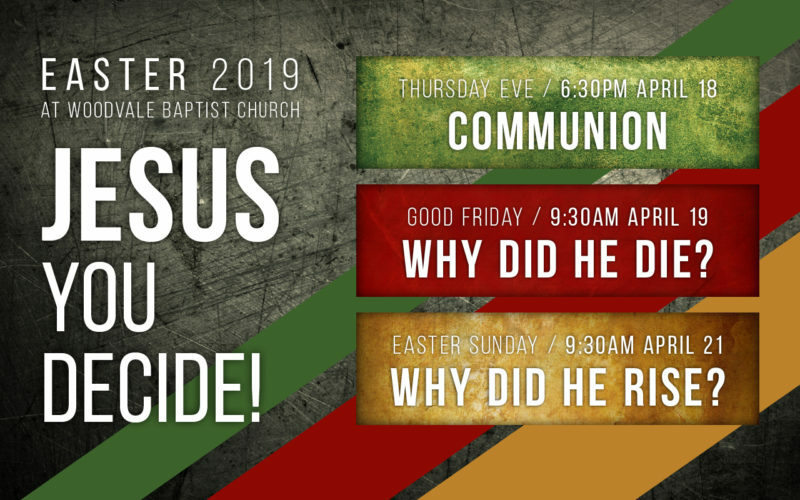 This Easter at Woodvale Baptist Church we are encouraging you to make up your own mind about who Jesus is and what He did. These are vital questions with life changing implications and we must all come to a definite decision about them. Why not join us at one of our Easter services where we will consider these questions and help you decide what you believe about Jesus? Woodvale Baptist Church meet in the northern suburbs of Perth. We are a bible-based Christian community, journeying together to love God and people well.